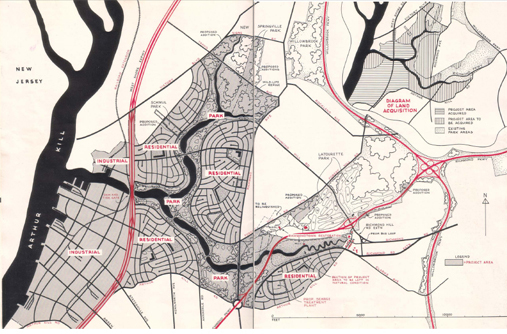 Here’s great find from our archives: a November 1951 proposal for development at Fresh Kills issued under legendary Parks Commissioner Robert Moses. 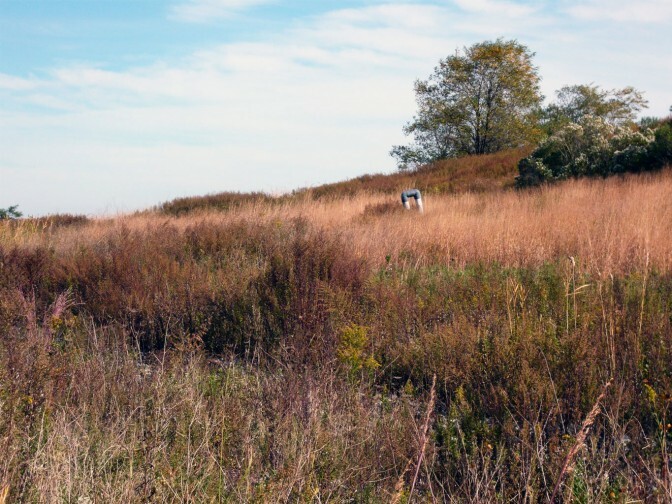 The City of New York began filling in Fresh Kills in 1948, initially with the idea of depositing “clean fill” there for three years to make the land developable. The 1951 Moses plan proposed a series of uses in the area: 100 acres of parks, arterials, and public works, 100 acres of private residential development and a huge industrial zone along the west shore. Some aspects of the plan were eventually adopted, like the construction of the West Shore Expressway (Moses was the force behind construction of most of the city’s expressways), but most were not. Landfilling at Fresh Kills continued over the next 50 years. The proposal is a fascinating read–and also a reminder of how terrific 1950s graphic design sensibilities were.